awesome science experience for girls only! Our "Girls in Science" programs run September through June and are designed to help spark an interest in science for girls ages 7-15 while learning in a fun, relaxed atmosphere. As we mix ages together, it's a great way for girls to find or become positive role models, make new friends and study science in a safe, nurturing environment. 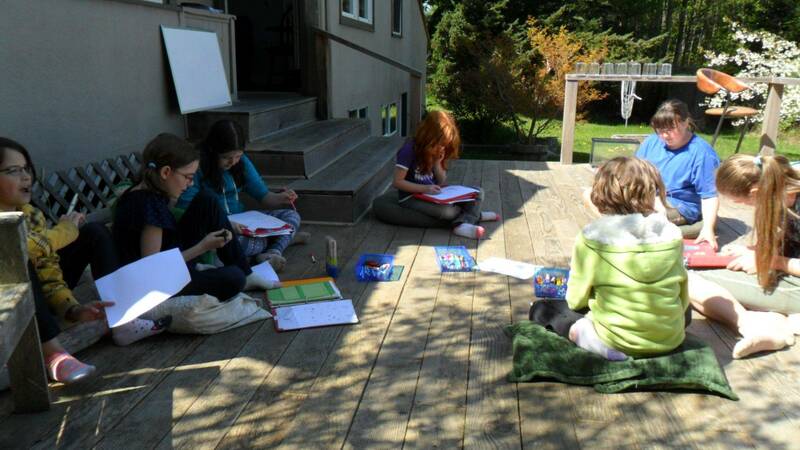 Classes are composed of projects, hands-on activities, nature exploration, art, videos and much more! While many learning outcomes will be met throughout the year and we cover most general science areas, this is not a curriculum-based program, but more of a chance for continuous "opportunistic" and on-the-spot learning!